Back in June, I went down to Washington, DC to take part in the Big Shots organization’s first ever summer basketball camp. 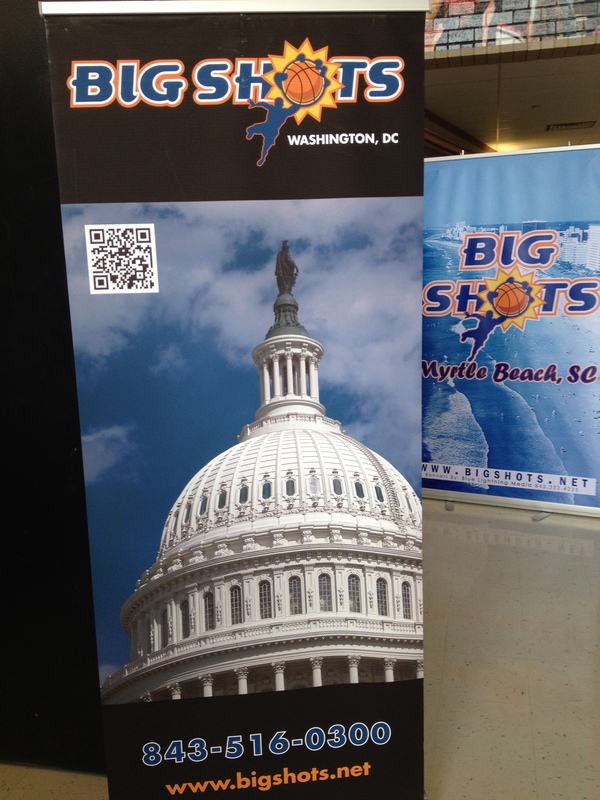 Big Shots is known for their high quality, ultra-competitive AAU tournaments held throughout the country. I played in a Big Shots tournament in King of Prussia, PA, and by high quality I mean high quality. I’m talking about alumni like NBA players John Wall and DeMarcus Cousins and collegiate players the likes of Meyers Leonard (Illinois), Quincy Miller (Baylor), Jahii Carson (Arizona State), and Nick Johnson (Arizona), to name a few. Big Shots was founded 12 years ago by former Virginia Tech standout and Cal-Poly head coach Jeff Schneider. Now they’re launching Big Shots Camps and brought in Greg White, former West Virginia High School Player of the Year, standout point guard at Marshall University and longtime University of Charleston head coach, to run the camps. Overall, my camp experience was great. It was a three-day overnight camp at Catholic University (good food, by the way) but in that short time it offered much more than I’ve experienced at any other camp. In addition to hard-playing games, drills and scrimmages, one of the unique offerings was “Crazy Handles,” a 6:30 a.m. class focusing strictly on ball handling drills taught by Coach White, also known as “The Wizard,” because he can do some amazing things with a basketball. I thought I’d be the only kid there, especially since the previous night’s scrimmages ended at almost 11 p.m., but more than two-thirds of the campers were there and we learned a lot. As for the competition at the camp, I have to admit I was impressed. Most of the players there were going into their senior year but some were fifth year seniors, or high school graduates trying to get a few more scholarship offers. The way I saw it, out of about 100 players in the high school age group there were probably 10 legitimate Division I players. Kids who weren’t legitimate D I players were close to it and could probably go to a low-major program. There were a lot of D II guys as well. I could be completely off base either way, though. There could have been more DI prospects or there could have been less, all I’m saying is that there were a lot of great players there. 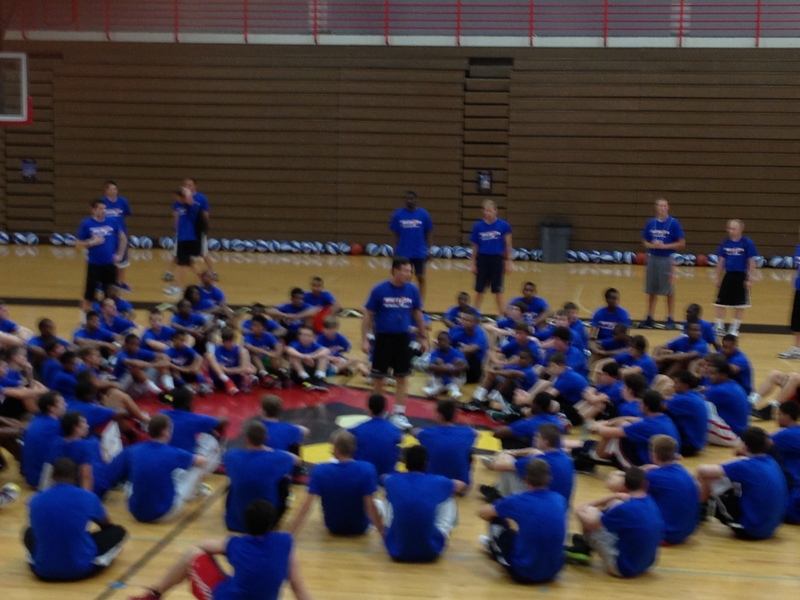 The camp recently posted evaluations of all players at the camp. Several who scored over 80 as mid- to high-major prospects were incoming senior Langston Burnett (6’4” Forward, Massenutten High, Beltsville, MD); rising junior Jon Elmore (6’3” Combo Guard, Christ School, Charleston, WV) and three freshmen, Gary Jefferson (6’2” Point Guard, Spalding High, Baltimore, MD), Jeremy Steadman (6’6” Combo Guard, Christ Chapel Academy, Woodbridge, VA) and Charles Williams (6’ Shooting Guard, Evangel Christian, Chester, VA). After seeing some of the players at the camp and reading my review, I realize that I have some work to do to get to the next level and I’m determined to do that. Aside from getting dunked on 3 or 4 times I had a lot of fun and I definitely plan on going again next year. Would love to know what you think…open the comment box by clicking on the title or thought bubble above.